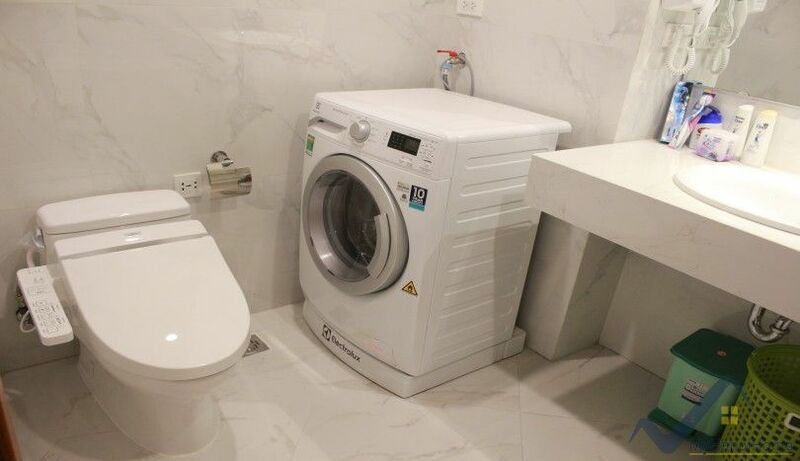 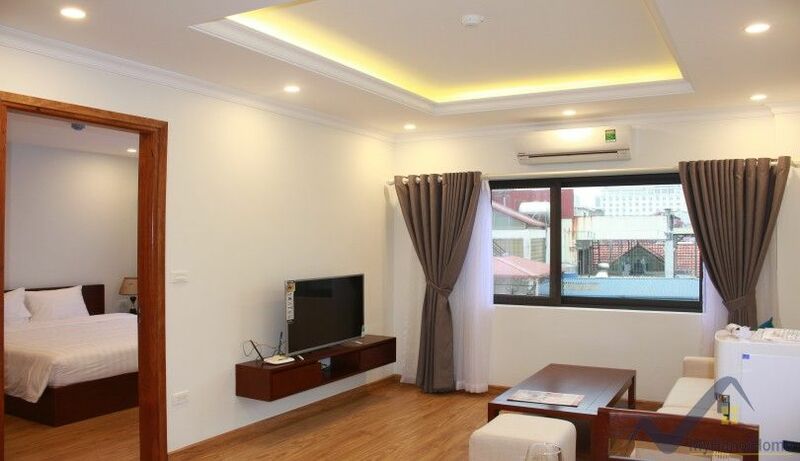 This is a brand new serviced apartment building located within 10 mins of walking distance to Lotte, composed of one bedroom, one bathroom with bathtub, bright reception area, open plan kitchen with full appliances. 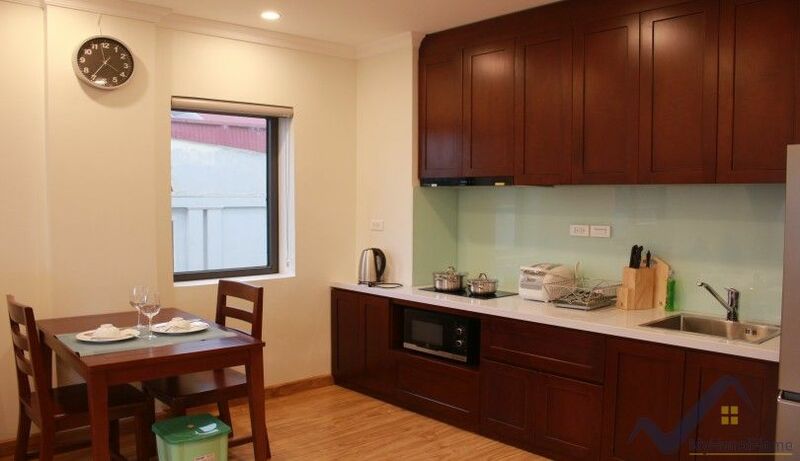 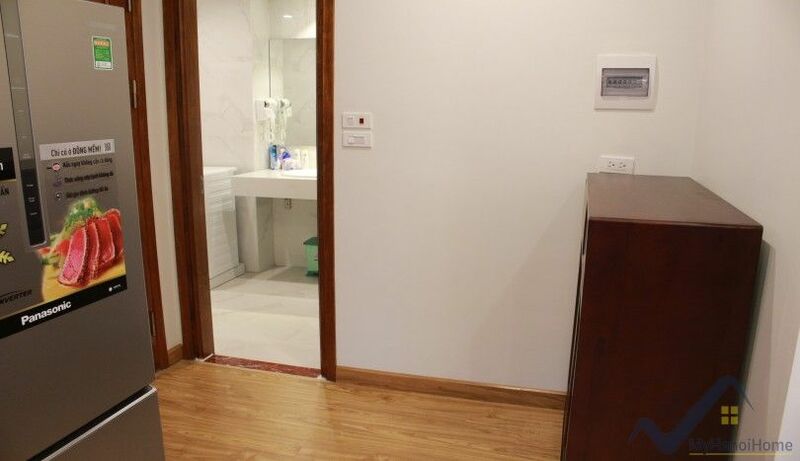 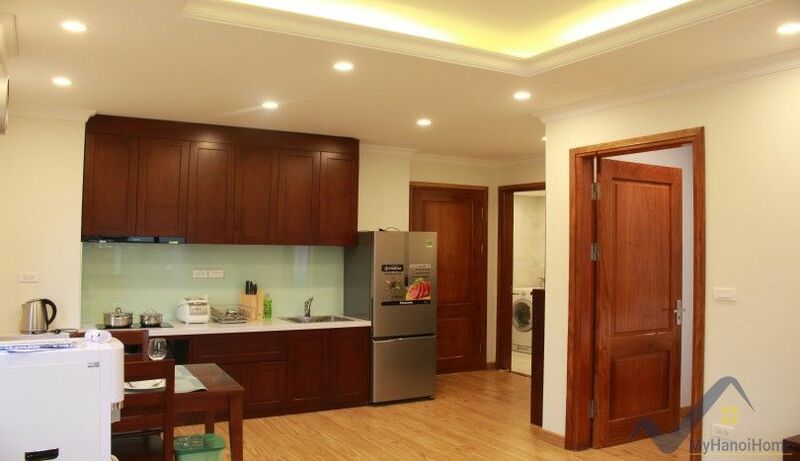 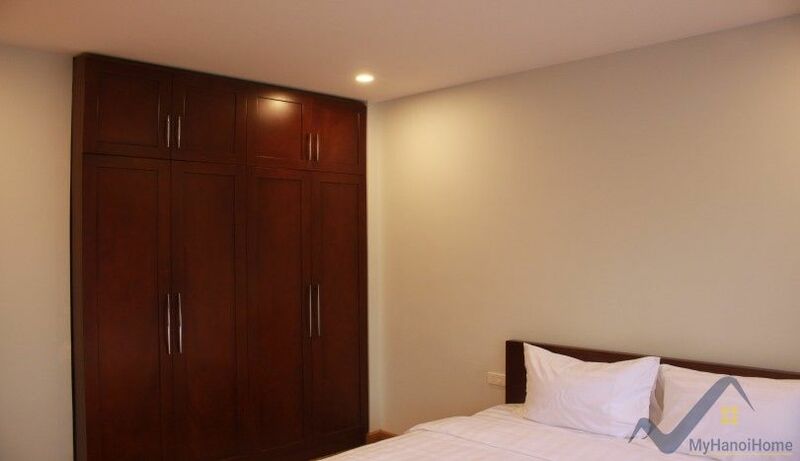 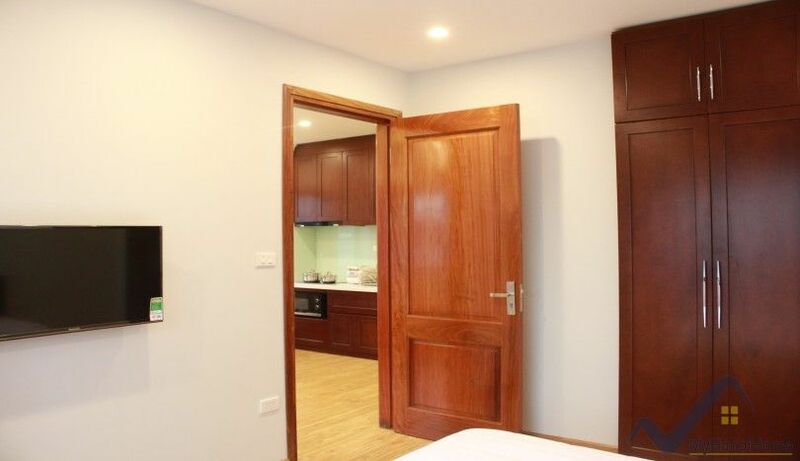 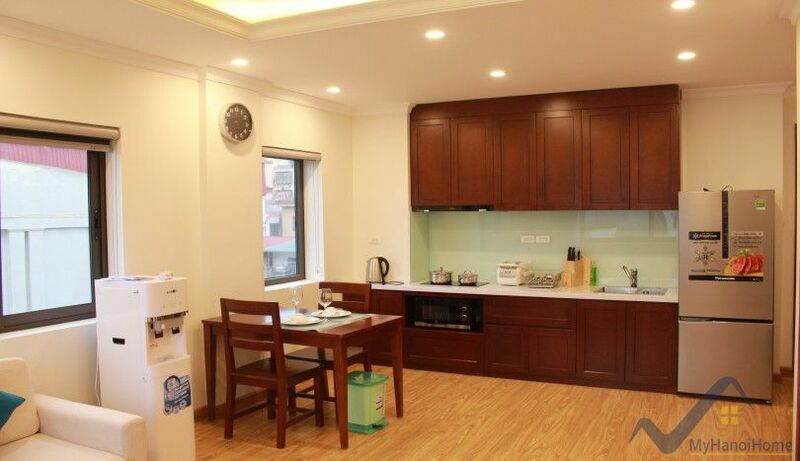 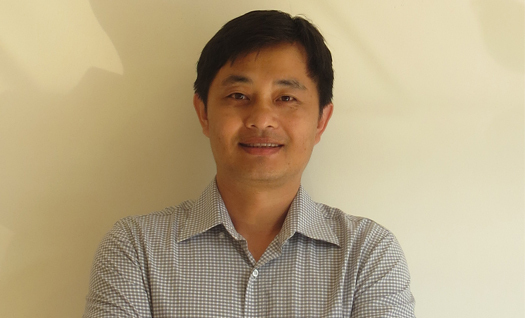 The one bedroom apartment in Ba Dinh district for rent offers 50 sq m of living space. 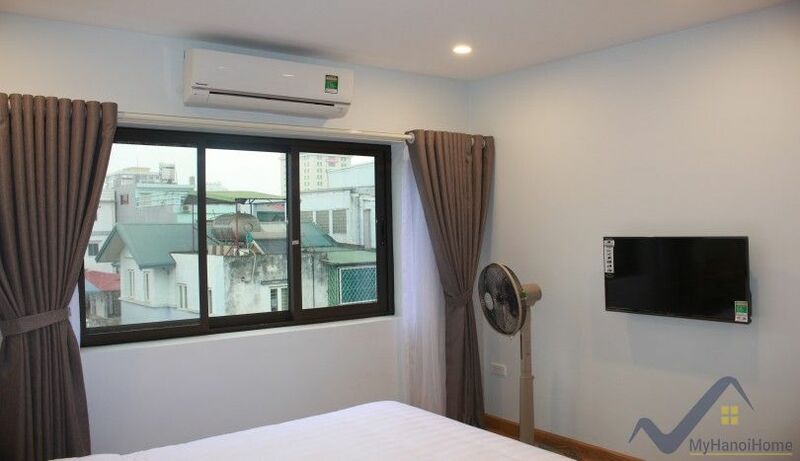 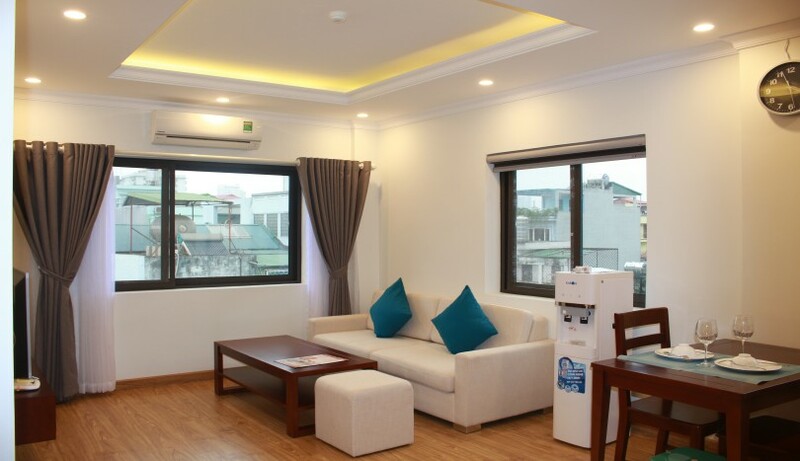 A modern serviced apartment building in Ba Dinh, easy access to Hoan Kiem, Cau Giay or Tay Ho district. 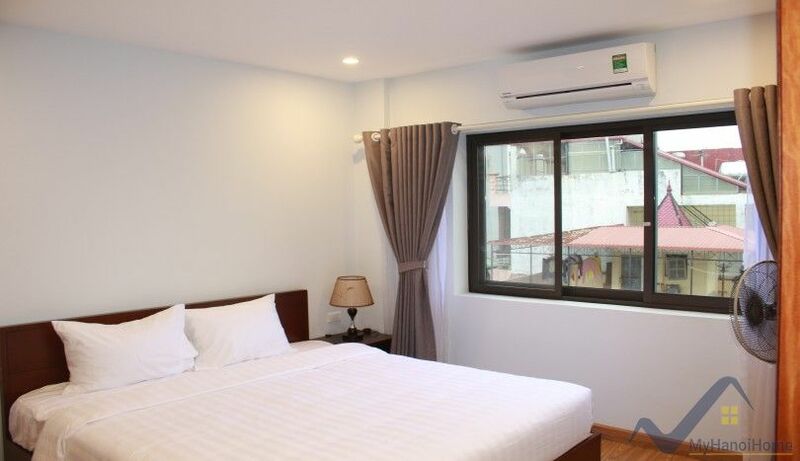 The monthly rent is inclusive of internet, cable tv, drinking water with 2 bottles, cleaning services, city water, toilet rolls etc. 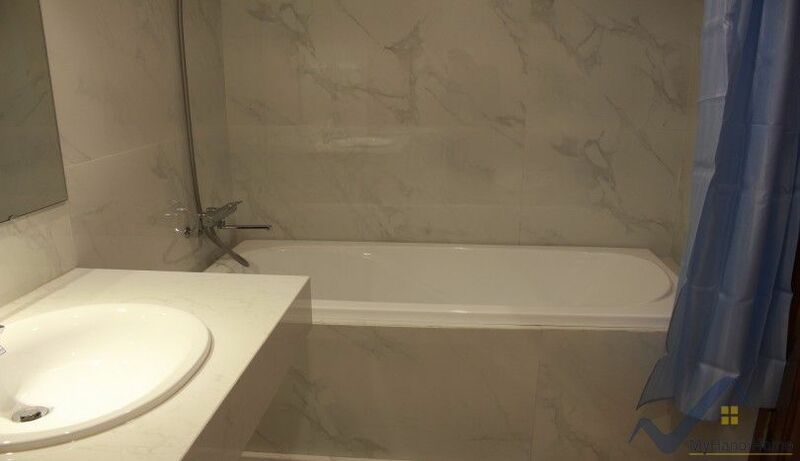 So contact us for more information about any fee may charge.